Remember when FBI Director James Comey threw a bomb into the election by announcing that the agency was reopening its investigation into Hillary Clinton’s emails? Remember his testimony to the Senate Judiciary Committee about those emails, just last week? Well, his statements may have been wildly inaccurate and he’s apparently trying to figure out how to fix it. ProPublica, an independent, non-profit investigative journalism outfit with multiple Pulitzers, has a bombshell report that claims the FBI is scrambling to correct Comey’s misrepresentation of the emails found on Huma Abedin’s husband’s laptop. Abedin is married to Anthony Weiner, the former congressman who can’t stop sexting with strangers on Twitter. In his testimony, Comey claimed that Hillary Clinton’s top aide, Abedin, forwarded “hundreds and thousands” of emails to her husband so that he could print them for her. He said that she made “a regular practice” of doing this and that 12 of the emails were classified. According to ProPublica’s sources, this isn’t exactly true. The two sources, one of which is identified as being in “law enforcement”, claim that Comey exaggerated the FBI’s findings. Reportedly, “only a handful” of emails were forwarded to Weiner by Abedin. And now officials are saying that the various documents likely ended up on the laptop because of automatic backups from her BlackBerry. That explanation would fall in line with Abedin’s statement that she had no idea how the emails found their way onto Weiner’s laptop. And for the record, none of the 12 classified emails were marked classified at the time. According to ProPublica’s sources, the FBI was planning to send a letter to Congress this week that would correct the record, but that plan has stalled for unknown reasons. ...if I said that, I misspoke. She forwarded hundreds and thousands of emails, some of which contain classified information. Today, former acting Attorney General Sally Yates testified before the Senate Judiciary Subcommittee. When it was Ted Cruz’s time to ask her about Russian interference in the election, he elected to spend the bulk of his time asking Yates hypothetical questions about prosecuting someone who had done exactly what Comey testified Abedin was guilty of doing. The gut-wrenching knowledge that Comey’s initial announcement about the emails may have gotten Donald Trump elected is bad enough. 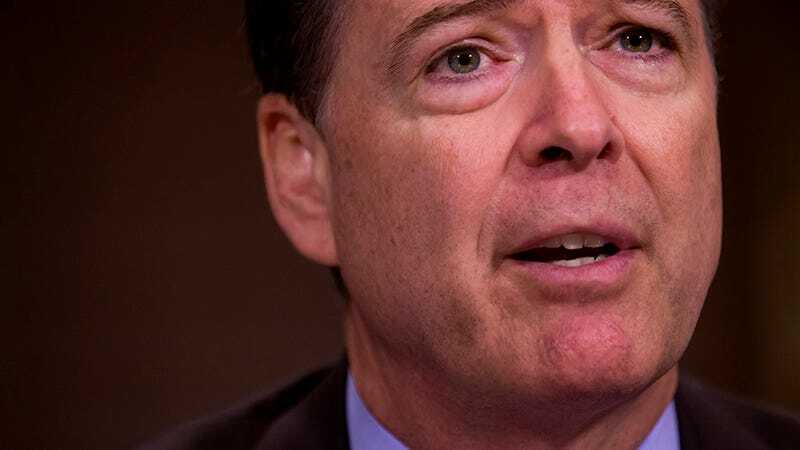 If he has misrepresented the FBI’s findings under sworn testimony after clearing all parties of wrongdoing, he’ll be in the running for the most hated man in America. For the average Joe, this might simply serve as a reminder to be careful with automatic backups.